It’s a long time that I don’t share thoughts regarding a book that I’ve read, but this time it’s totally worth the effort to write down this blog post. I used to read between 15 to 20 books per year during my commuting time and I really enjoy the different points of views of the authors and it’s fascinating how the same topic can be treated in so many ways. The book that caught my attention is called Leading Lean Software Development from Addison Wesley. I read many books on Lean and Agile topics but this one, I’ve to say, it’s one of the best for people like me that works in software development with these methodologies. I strongly believe that there isn’t a framework that could rule them all, so I love learn and try different approaches like Scrum, Kanban, Kaizen, Grows and many others outside there and catch the essence in order to use the best technique when I need it. This book does exactly that, it’s not only emphasising the importance of Lean methodologies but it’s mixing Lean methodologies with software engineering practices and give many example how these techniques helped to succeed not only in the software industry but also in the “real world”. The most stunning example is regarding how the Empire State Building was created in less than a year and how it’s possible to have the same efficiency in the software development! There so many take aways inside Leading Lean Software Development book that it’s hard to share all of them, but I think it’s a great collection of my believes in the Lean and software development world. For the first time I could say that I’m represented by a book! 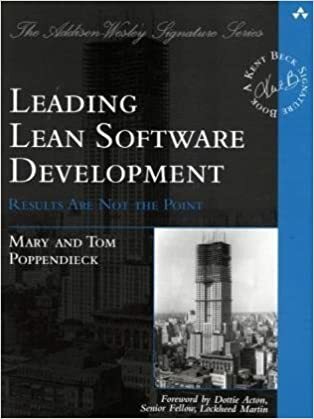 It’s a MUST read book in my opinion and the most interesting part is that there is another book written by the same authors way more practical that I can’t wait to read: Implementing Lean Software Development. Any Agile or Lean framework incorporates this concept, but I think the closest implementation of feedback loop is defined inside kaizen with the PDCA cycle. 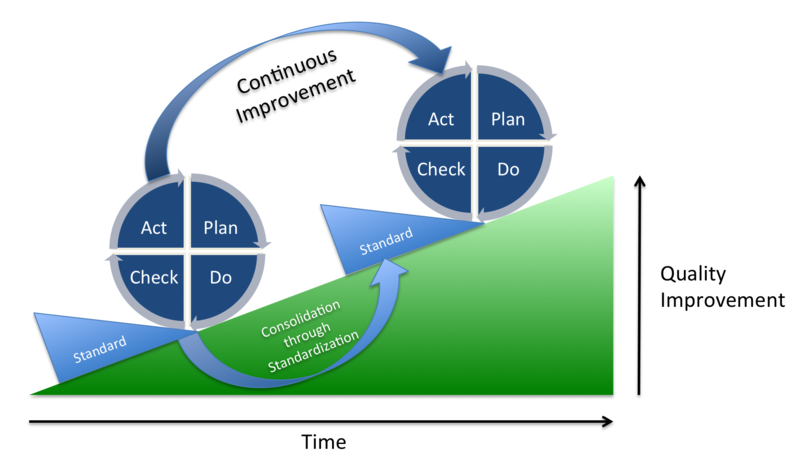 PDCA stands for “plan-do-check-act” and in kaizen is a technique used for continuous improvement of a company’s standards. The team tries first to analyze a problem, retrieve the metrics in the current situation, define a strategy for improvement toward achieving the intended result, and finally retrieve the metrics of the process to assess whether improvement really occurred so the team can adapt strategy to obtain better results and create a new standard. This is a continuous process that should be carried out several times to aim for the best possible results. As software creation follows an empirical process, we need to create several interim checkpoints to determine whether what we’re producing is really what our customers are looking for. Often during development we don’t realize how much time (and money) we waste simply because we don’t gather good specifications or show the progress of our work to the customer. Just because the waste is to a certain degree hidden doesn’t mean it is without cost; we often invest more time and expense than we realize, yet with a few shrewd tactics could actually prevent such loss and achieve what our customers really expect. We can add several types of feedback loops during development to help accomplish that. The key rule of any feedback loop technique is “shorten, and often”! It’s helpful for the healthiness of your project not only because helps you to better define the requirements, design better APIs, and obviously check the sanity of what you’ve written or refactored but also because testing gives you feedback on your work in seconds, and you can have this feedback every time you save a code file or when you push the code in your version control system. Static analysis can help you immediately recognize areas in your software that could be simplified or improved without deep-diving inside the code. It supplies a powerful feedback loop that in seconds or minutes can provide metrics to analyze during the whole development life cycle. Introduced by XP, pair programming is a powerful loop technique that provides peer feedback in seconds while letting you consolidate your knowledge and explain problems or solutions to someone else. Developers often skip this option when the business department deems it too expensive to have two people working on the same piece of code, but research demonstrates it’s not as costly as one might think. In fact, several studies show that while pair programming lowers developer productivity by a mere 10 to 15 percent, it increases the robustness of your software, consolidates and improves the skills of developers, and, most important, helps detect bugs and architecture mistakes more than any other technique. If executed in the right way, it can be a great investment for both your company and your software. This ceremony, used not only by Scrum teams but in many Kanban implementations, primarily provides an opportunity to synchronize team member efforts as well as a starting point for discussing potential improvements. As the name suggests, it’s a daily activity whose value hinges on not only on the technical aspects but also team communication and the big picture behind the project. These aspects are fundamental, because often developers are so focused on details they miss the perspective that could keep them from spending unnecessary work or time on secondary features (remember the Pareto principle). An Agile retrospective, if well organized, is the most effective ceremony inside the Scrum framework to produce feedback that really helps improve projects and promote healthy teams. I facilitated several retrospectives and I’ve always gained a lot from them; if you can create a good atmosphere, defining properly what you want to achieve, you may reap surprisingly good results. 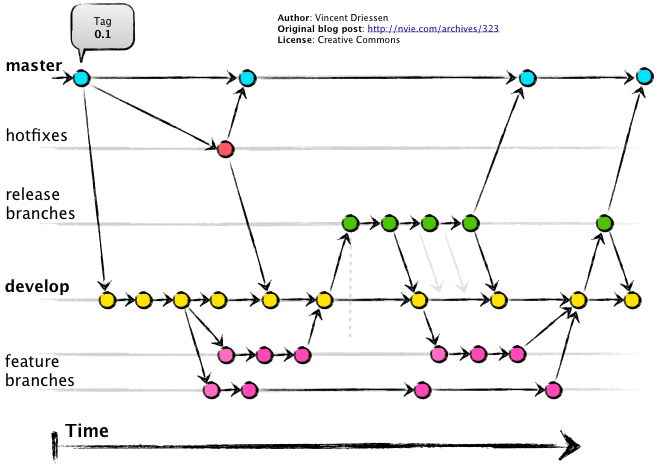 For this purpose the retrospective is organized at the end of each iteration (usually every two weeks), but I really suggest more often if the team is recently defined or has more than one new member, to help newcomers feel part of the team and acquire its mind-set and to permit review of the resulting team performance as a whole. Product Owner, Scrum Master and Team: this is Scrum! As you read in my previous post “Approaching Scrum”, in the short description of this Agile technique, I talked about 3 main roles that composed the Scrum team. There are also other people that partecipate in a Scrum team and I’ll talk about them in a bit. I’d like to share a brief introduction to each role before talk, in another post, about the Scrum process in details. Where is the project manager ? That’s a good question, as you can see above in the list of the main roles, the project manager role is not mentioned. Basically what the project manager represents in the traditional software development where basically manage the communication between clients and the company, manage the team’s tasks and so on, in Scrum we are dividing those functions trough the members of the Scrum team (product owner, scrum master and development team) giving more responsibilities to them. This thing will have a positive impact with the whole team that is more involved in each part of the project (planning, decision and development) and they can drive the risk using Scrum to achieve the best business value so the best result for their customers. Another important aspect to take in consideration, when you are working with Scrum, is that we don’t have the concept of “project” anymore, but we’ll work on features and improvements with a continuos delivery instead of a “big bang delivery” at the end of the project. This will ensure that we’ll focus more in the business value instead of waste time in something that is not important for that project and that couldn’t have the right value for our stakeholders. For my perspective a natural evolution for a project manager could be the product owner, or if he has got a technical background could be Scrum Master; for sure the most important thing is that he has to change the way to approach any development and he has to think in a collaborative instead of a hierarchical way. This role is very important inside a Scrum team, in fact the product owner is the “voice” of stakeholders and customers or users. He is also the person that has the product vision, that is in charge to take the right business decisions during the development of a new or existing product and he has to help the team, if it’s possible everyday, answering on questions related to the product. He is in charge to create and maintain the Product Backlog and to share the product vision with the whole Scrum team. The most important thing is that the Product Owner is always available for the team because he is part of the team and his role is essential to accomplish all the business aims of a project. In fact he is in charge to order the activities to do in the Product Backlog and to update them (this process is called grooming) following the customer’s perspective. Usually the Product Owner is someone that have familiarity to talk with customers or internal management as well and he is quite technical to talk with the Development Team. The perfect definition of a Scrum Master is: “Mr. Wolf” ! The Scrum Master is the person that try to facilitate the use of Scrum inside the team, he has to remove impediments to the Scrum team, facilitate Scrum introduction in a new team, avoid any external distraction to the Development team and so on. The key concept for any person that is approaching this role is that you are not a chief of someboy, you are coaching Scrum to people not imposing something to them! In fact another good definition of Scrum Master is the servant leader. Usually the Scrum Master is a Lead Developer or a QA person anyway it should be someone that has got enough technical knowledge to understand and solve the problem of the Team and to discuss with the Product Owner and guide him to create good artifacts for the Scrum team. This activity required more or less the 50% of the time for a person so usually the Scrum Master is often member of the Development Team as well. When Scrum talks about Development Team it doesn’t mean only developers but a group of people that work actively to the product. So inside the development team we can find: analysts, designers, testers, UX team, developers and so on. In Scrum the team has cross-functional skills that allow them to deliver feature every Sprint. Another important thing is that the team is self organised so nobody (nor the Scrum Master neither the Product Owner) can add activities to their daily job or impose the timeframe to finish a task. At the beginning it could be so strange but in this case people in a team assume more responsibility and the project will be done in the best way ever. In the old way to manage a team where the project manager imposed his role to have the feature that he wants when he wants, the team was only executive people without any relation with the project and often without any reward if the project will be well done. In Scrum the team is in charge to estimate the project, to choose the task to accomplish during a Sprint deciding them with the Product Owner and, last but not least the team has to develop more features as possible with an high quality of code (tested, documented and so on). We’ll talk more in deep about estimates and about the “definition of done” in next posts for now what you need to know is that the team is not passive anymore but they play an active and important role to achieve the goals of each product. In Scrum the main roles are what you have read above but there are many other people that partecipate to the good delivery of a product, in particular when you start to scalate Scrum to many teams. In fact Scrum is a framework to manage 1 or 2 teams but not more, there are many other Agile frameworks that help you in this activity like SAFe (Scaled Agile Framework). Other people that partecipate to the delivery of a project are for sure the stakeholders. Stakeholders can be internal or external, when we refer to internal stakeholders we have to think to our management that share with the team their needs and how their point of view to improve or change the product developed by the team. The external stakeholders are our customers or users, yes you read well, our customers or users are very important in the Scrum process because they are the ones that decide if the project is going in the right direction or is failing. Personally I think is the biggest challenge involve our customers inside the Scrum process but for sure it will be very useful for the team and the product because they can constantly give us feedback on the right direction to take with the product. Have you ever felt disappointed because you don’t finish a project in time? When you try to estimate a project you feel like a poker player? Have you ever wrote bad code because you were overtime and you needed to delivery as fast as possible? If you think that there isn’t a way to escape from this nightmare you are completely wrong and I understood it in the las few months as well! I don’t want to say that with Agile you can solve everything, but what I can say that for sure it can help you to achieve your goals and deliver in time with the best quality and value for your customers or users. Scrum is an iterative and incremental Agile software development framework for managing software projects and product or application development. Its focus is on “a flexible, holistic product development strategy where a development team works as a unit to reach a common goal” as opposed to a “traditional, sequential approach”. Scrum enables the creation of self-organizing teams by encouraging co-location of all team members, and verbal communication among all team members and disciplines in the project. When you start to read about Scrum a lot of things seem impossible to apply in your daily job but I think that, like any transition period, you can arrive to work completely in Scrum in less than 6 months if you really want change your organization and improve it. From my experience Scrum is a good framework that should be used extensively if you are working in products that will be delivered to the final user, otherwise you have to train up your customer to be Agile; but in the real world it could be more difficult. Mainly because you need to have a good trustability before start to involve them in an Agile process and sometimes there isn’t enough time to do so. Why have I to use Scrum? That’s a good question, it was the same that I asked me few months ago and finally I’ve an answer, if you are a developer think when you started to write the first lines of code, obviously day by day you increase your knowledge and your code became even better until to the procedural code it wasn’t enough and you try to look to something more. Then you have discovered OOP concepts and maybe design patterns, after few times you started to work with MVC, MVP, MVVM or your favourite architecture and probably after many years if you look back you won’t write procedural code anymore. In the same way of Design Patterns and a micro-architecture that drive you to create solid and maintainable project, Scrum can help you to organise your projects creating a great business value, knowing every time the next steps and the actual status of the project, estimating better the goals and the time to achieve them and last but not least to drive the risk in a better way than the “traditional” methodology (waterfall model for instance). 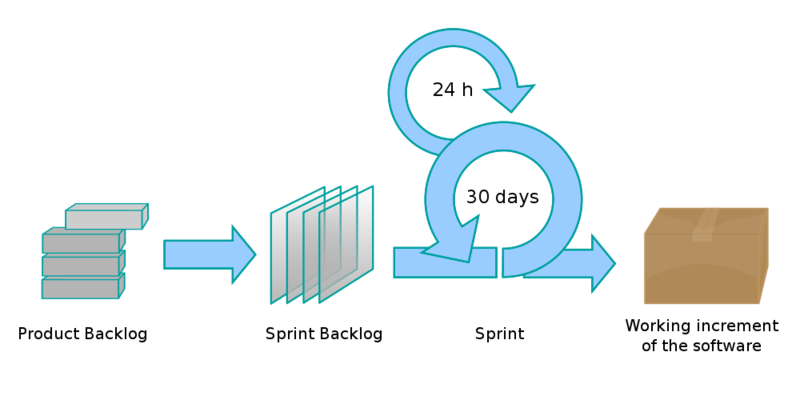 As you can see from the diagram above, Scrum is an iterative workflow that happens in a small amount of time (usually 2 weeks or 4 weeks at least) where with few documents and a lot of communication you can achieve the best trade off between the business value for your final customer and the best quality of your software. Scrum is composed by some actors (Product Owner, Scrum Master, Development team and Stakeholders), some meetings (Release Planning, Backlog Refinement, Daily Scrum, Sprint Planning, Sprint Review, Sprint Retrospective) and few artifacts (Product Backlog, Sprint Backlog, Burndown chart, Product Increment). The most important concept that you have to keep in mind is that Scrum is easy to use and to understand but if you want to have its benefits you have to follow its rules. Without this 3 fundamentals principles, Scrum it’s not useful at all! Transparency means that you and your team don’t have to hide anything to anybody, if there are any impediments or problems or bottleneck following Scrum you can find and resolve them. Inspection means that you and your team have to analyse what you have done after a small amount of time (Sprint Retrospective) and find what positive or negative was happened during that period. Adaptation means that everything is not binary (0 or 1, true or false) but you have to adapt your way to work day by day improving yourself inspecting what you have done and being agile! If you want Scrum is not only a good approach to work, it could be a good approach for life as well! Ok, now I’m really interested in Scrum, where to begin? 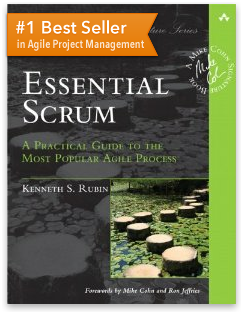 In this book you can really understand how the Scrum framework works and how to use it in your daily job. I also suggest it if you are planning to join in a Scrum training course, it can really help you to have a good preparation for the course and for the following certification exam. What I’d like to share with you is my notes about Scrum studied on books, read on blog or social networks and share with my fellows, my idea is to fix few concepts on this blog that could be helpful also for people that is approaching Scrum right now or they would like to know more about it. There are really tons of things to know and you’ll never finish to learn (as usual) so I think a blog it could be a good resource to share the basic of Scrum and in the future, going more in deep with real case studies related to my daily job. I hope you will enjoy this information that are not what you usually find in my blog but maybe could be interesting as well, as usual any suggestion will be very appreciated so don’t be shy and share your thoughts!